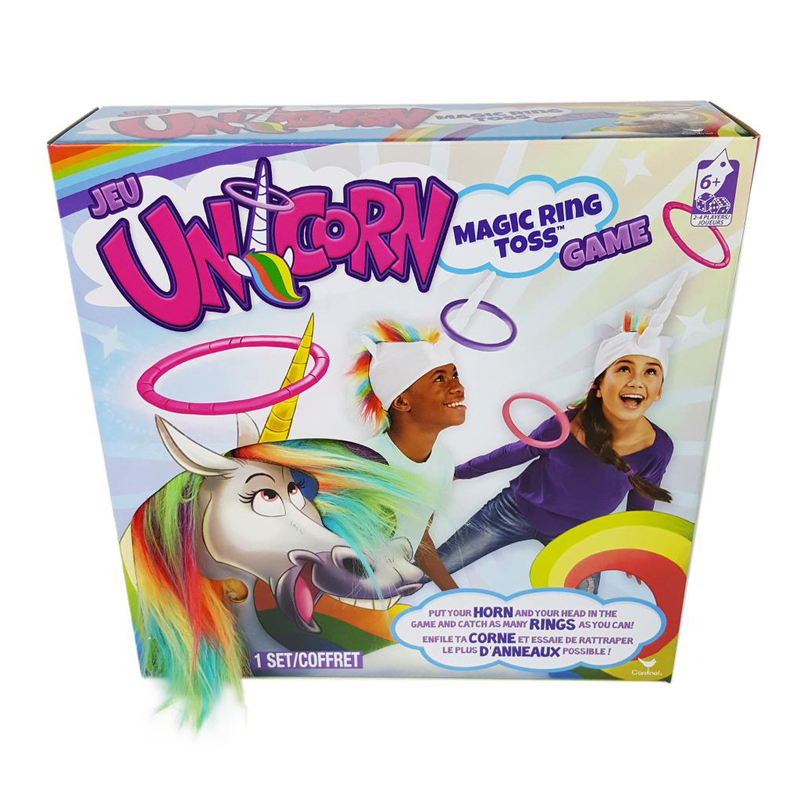 Put your horn on your head and your head in the game and catch as many rings as you can. 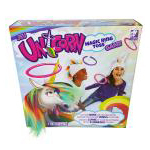 Players don their unicorn hats to catch the brightly colored rings on their horns. The player to catch the most rings – no hands allowed! – wins. The rules are simple, yet the gameplay is fun and has many different variations. Ages 6 and up. 2-4 players.